1. Grumpy Cat. She's too cute. I love her. I wish I could meet her in real life and give her cuddles and treats. Anderson Cooper clearly agrees with me, and someone as handsome as he is can't be wrong. 2. Aubrey Plaza. She plays April on Parks and Recreation, and will transfer her deadpan style to playing the voice of Grumpy Cat. A lot of people who see Grumpy Cat just assume that she's a male cat (I did, too, when I first saw her), and I'm glad that they cast a female actor for her voice. Especially Aubrey Plaza. 3. Grumpy Cat's stunt doubles were fabricated by Jim Henson's Creature Shop. Yes, there are "stunts." Yes, it fills me with a sense of cheesy holiday foreboding. I don't care, though, because I love the Creature Shop's work. This is a major selling point. 4. This is going to be awful. Grumpy Cat shooting Christmas bad guys with a paintball gun is apparently canon. There is "British Grumpy Cat." Look, if millions of people can latch onto the ridiculous Sharknado with cult-like devotion and then tune in for Sharknado 2 in unbelievable numbers, then it's equally valid for me to watch what is basically a network television version of the Internet Cat Video Festival, only even more cynically commercial. Don't judge me. 5. There is a soundtrack. Yes, you read that correctly. It's also available on iTunes. I may have to buy it. 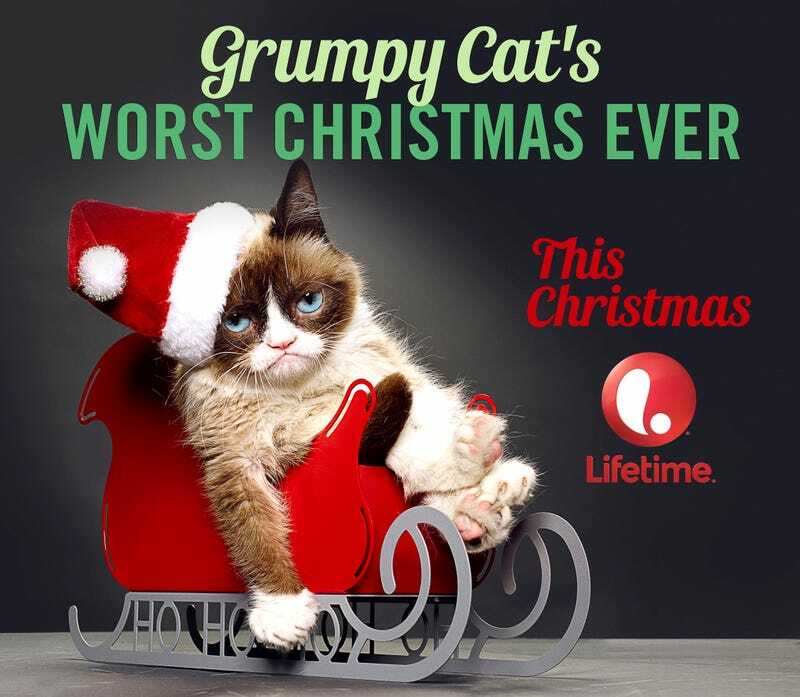 Grumpy Cat's Worst Christmas Ever premiers Saturday, November 29th at 8/7c.